Broken Records proudly presents a spectacular take on the Harold Melvin & The Blue Notes classic. This soulful masterpiece is recrafted by France's stellar producer/remixer, the incomparable Didier Vanelli. Didier Vanelli is one of the world?s most prominent Producer/Remixers. His works can be found in the top 10 on retail platforms such as Traxsource, Beatport, Amazon, iTunes and Spotify. Much renowned and held in high esteem is he, that he was requested to perform in front of the "Prince" @ Riccione (disco-house on the Adriatic Italian coast). 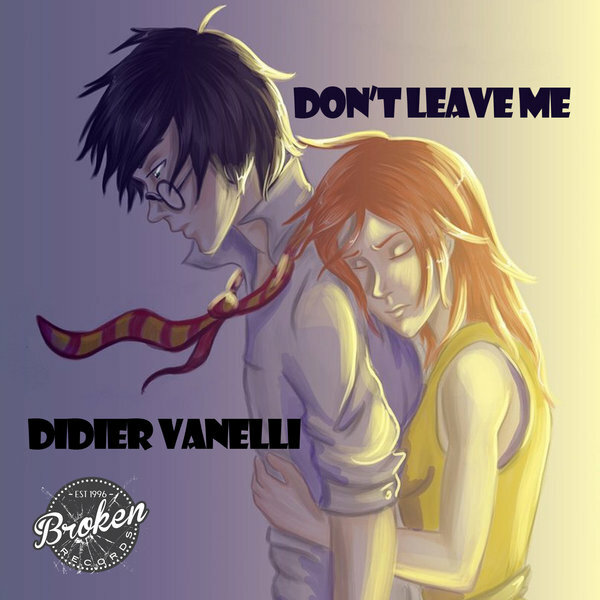 With his Don't Leave Me release, Didier has gone deep into the realm of facing life alone! Losing a significant part of your life leads to a state of self realization that some cannot handle. But the groove sets you free and puts a smile on your face. You will be humming and singing this one even when you're not trying to. Didier Vanelli delivers some Deep, soulful HOUSE MUSIC flavor that will be sure to ignite the Dance Floor, Power Radio and Mix Shows. Demarkus Lewis : "tasty new twist on an ultimate Disco classic"
Steve ?Silk? Hurley : "If you like it deep and soulful, this one is in the Valley...the late night heads should feel this one!" Richard Earnshaw: ?Not heard anyone do a cover of this track in this style. Nicely done. Totally takes me back to early 2000s? Oscar P: ?Great Remake, Lets Go!!!? Dean Serafini : ?Love the mid tempo groove and soothing, mellow vibe created by the keys and guitars and that gnawing bassline. The vocals are exquisite. More than just a wee bit tasty!? Mike Stukes (Mystic Vybes WHCR 90.3 FM): Love it! REALLY feeeeeling THISSSSS! Mo Aldo: ?This sound art piece so represents how mature the soulful vocal deep genre is moving so graciously forward toward the future, imho. ?